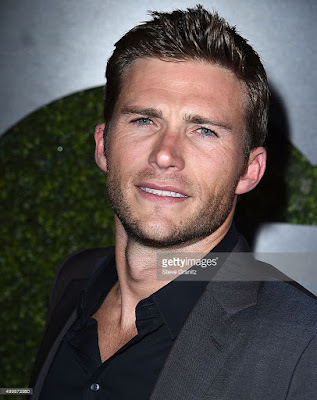 Scott Eastwood (The Fate of the Furious, The Longest Ride) has joined Academy Award® Winner Morgan Freeman in The Manuscript, with Nick Cassavetes (The Other Woman, The Notebook) set to direct the script by Louis Rosenberg and Joe Rosenbaum. Also joining the production is Rob Paris via his eponymous shingle Paris Film, Inc. The company will produce alongside Mike Witherill (John Wick) and Mark Williams (The Accountant). Highland Film Group is handling international sales and will continue speaking to buyers at EFM. In this cat and mouse style thriller, "The Manuscript" centers on a jailed genius convict (Freeman) who writes and sends chapters from a mysterious novel to an aspiring young writer (Eastwood), ensnaring him in a high stakes ploy to recover $100 million in stolen diamonds. Principal photography will begin in late April in New Orleans. Eastwood most recently starred in The Fate of the Furious for Universal Pictures and Oliver Stone’s Snowden for Open Road Films. He will next star in Universal Pictures’ Pacific Rim Uprising alongside Star Wars’ John Boyega. Cassavetes is best known for directing The Notebook, Alpha Dog, The Other Woman, My Sister’s Keeper, and John Q.
Eastwood is represented by UTA and LBI Entertainment and Cassavetes is represented by WME and LBI Entertainment. Jonathan Gardner at Cohen/Gardner reps the producers. The Highland Film Group slate also includes: Michael Cristofer’s The Night Clerk starring Tye Sheridan; the star-studded Berlin, I Love You with Helen Mirren, Keira Knightley, Jim Sturgess, Mickey Rourke, Diego Luna, and Jenna Dewan Tatum; Vaughn Stein’s Terminal starring Margot Robbie; Jon Avnet’s Three Christs starring Richard Gere; Eric Bress’ supernatural psychological thriller Ghosts of War starring Brenton Thwaites; Lin Oeding’s thriller Braven starring Jason Momoa; Scott Mann’s Final Score starring Dave Bautista and Pierce Brosnan; and the highly-anticipated remake of The Crow directed by Corin Hardy, which HFG is producing and financing. Paris Film, Inc. is currently in post-production on The Last Laugh starring Chevy Chase and Richard Dreyfuss for Netflix. Recent credits include The Blackcoat’s Daughter for A24 and I Am the Pretty Thing That Lives in the House for Netflix.